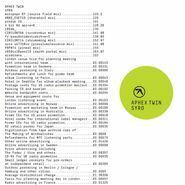 In a rare double-blessing, the last two years have given us not only a new album by My Bloody Valentine but another artist iconic of the ’90s, Aphex Twin. Syro plays as a collection of just about everything Richard Davis James does best, fusing jungle beats to gorgeous ambient tapestries on stunning opener “Minipops 67 [120.2][Source Field Mix],” taking us through dense synth explorations on tracks like the 10-minute “Xmas_Evet10 [Thanaton3 Mix]” and vibing off hip-hop and synth funk on “Produk 29 .” Vocals appear now and then (from James and his family), offering skewed, incomprehensible chatter that adds to the liveliness of “Produk 29 ” and giving “Minipops 67 [120.2][Source Field Mix]” its grabbing human element, pulling you into the rest of the album. Though he used some 138 pieces of equipment and shifted his set up every few minutes while recording Syro, that seems to have had an energizing effect on James, and the result is a sharp, if varied piece of work that hangs together beautifully, flowing from scenic but heady pieces like “4 Bit 9d Api+E+6 [126.26]” to hard-hitting bass tracks such as “180db_ .” There aren’t many shocking moments on Syro like, say, “Come to Daddy’s” shrieking wail, nor does it push listeners to their extreme limit like the challenging Drukqs did, but accessibility doesn’t mar Syro. Rather, even despite their straight-off-the-hard-drive titles, tracks like “Papat4 [Pineal Mix]” are really breathtaking pieces of music, designed for immersion rather than to filter listeners out. 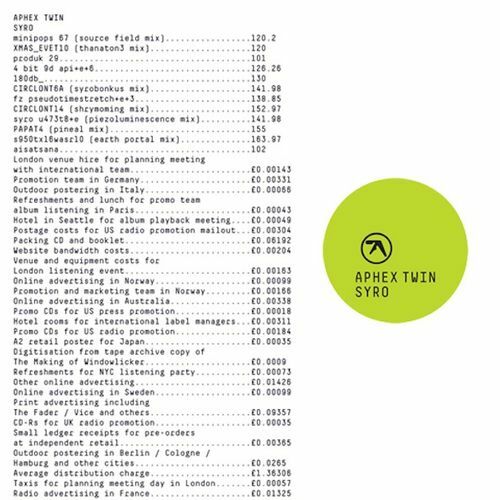 Just like m b v, we had no right to expect Syro would be this good, much less that it would be released at all, which makes it all the better. Simply put, it’s one of the most instantly enjoyable collections of music James has ever released.